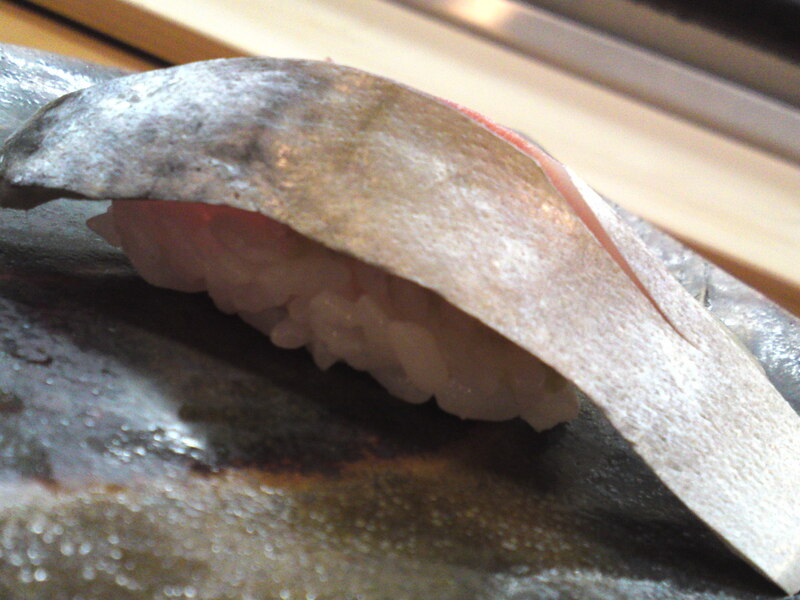 Sushi Restaurant: Atsu in Shizuoka City! 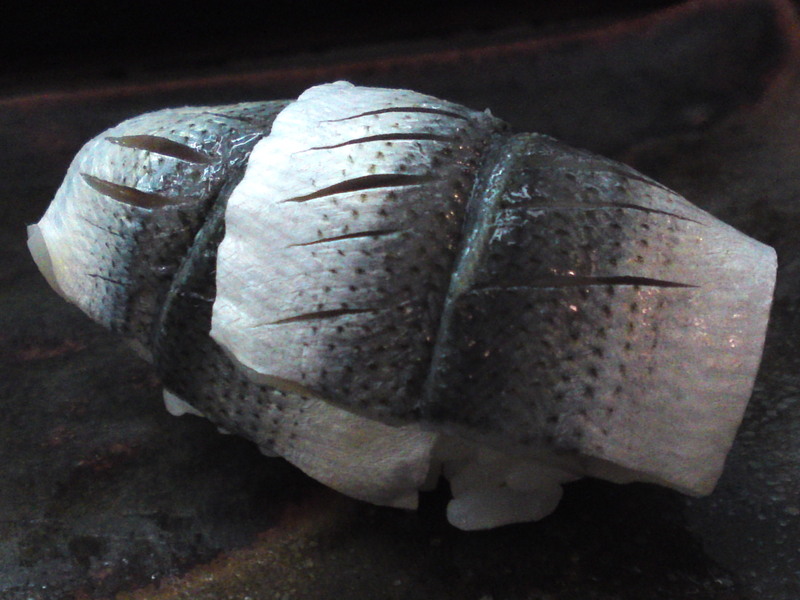 Strong points: Top-class seafood. 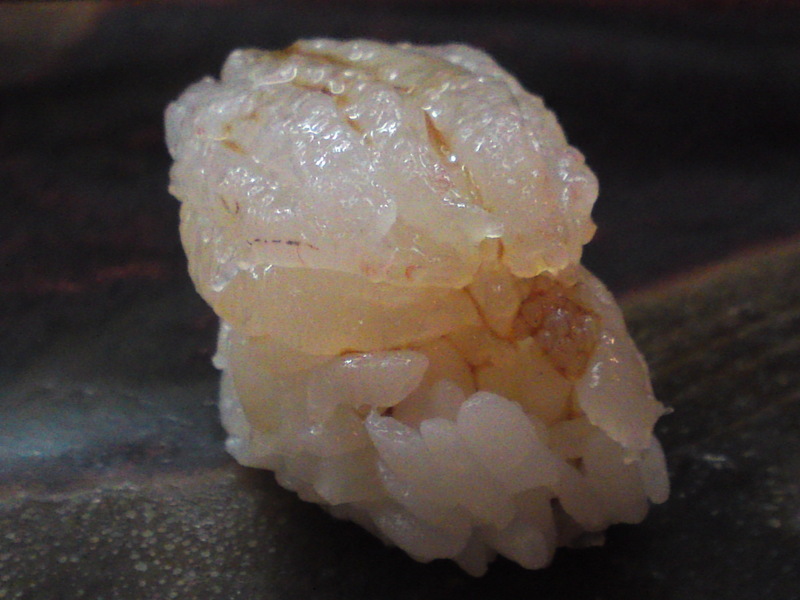 Rare Shizuoka sake! 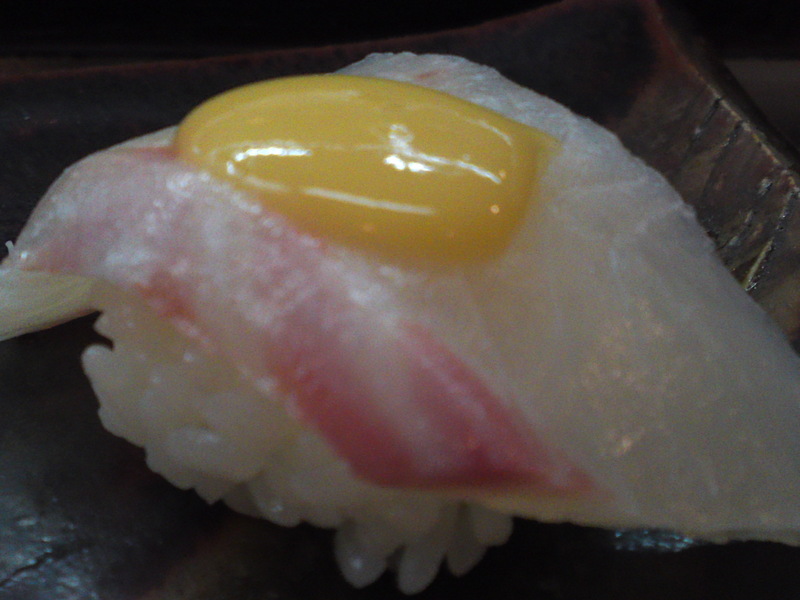 Eating sushi in Shizuoka City is even an experience in Japan! 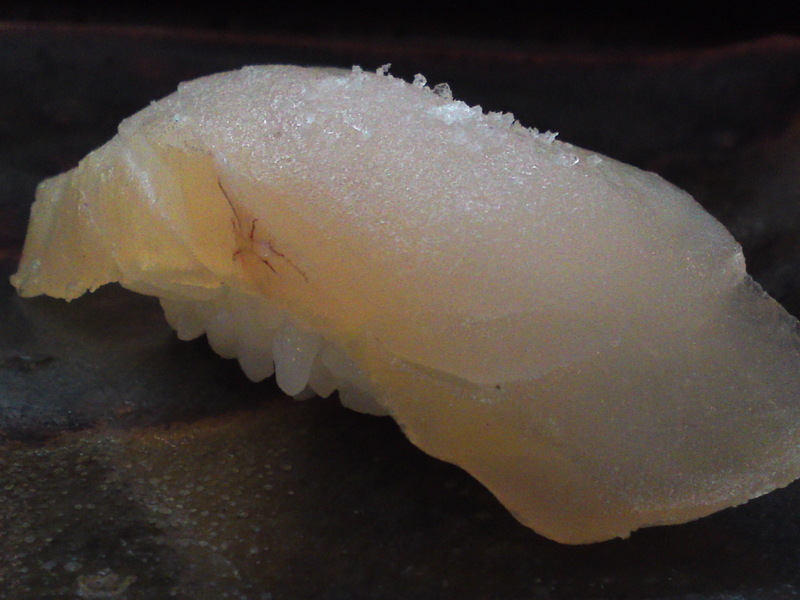 Chefs can choose to use only local seafood, only seafood from other shores, or a personal mixture of the two with equal success. 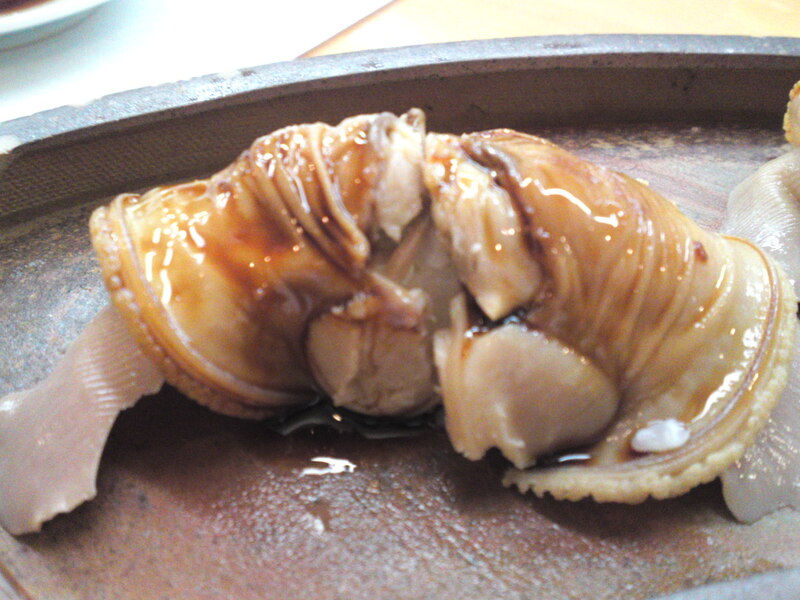 Atsu in Shizuoka City is of the third kind, which means that the chef, Atsu Mochizuki, does come up with some rarities! 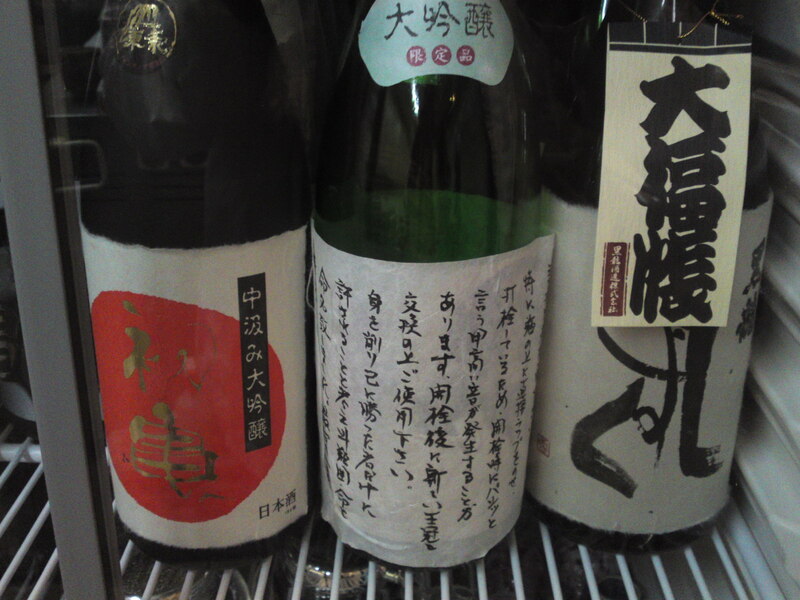 Atsu serves no less than 16 local Shizuoka Sake, from rare to extremely rare with the consequent prices! 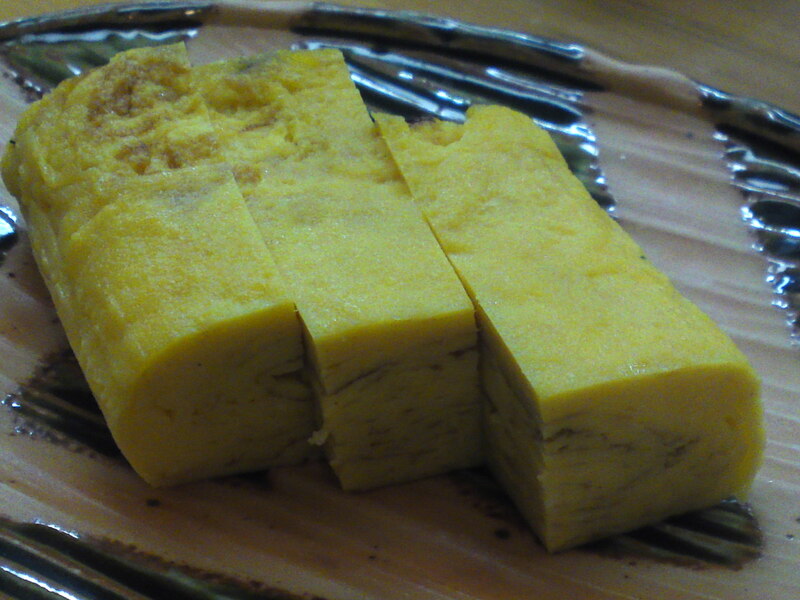 The four of us last night opted for a “makase/chef’s course. The pictures will surely tell you enough about the quality! 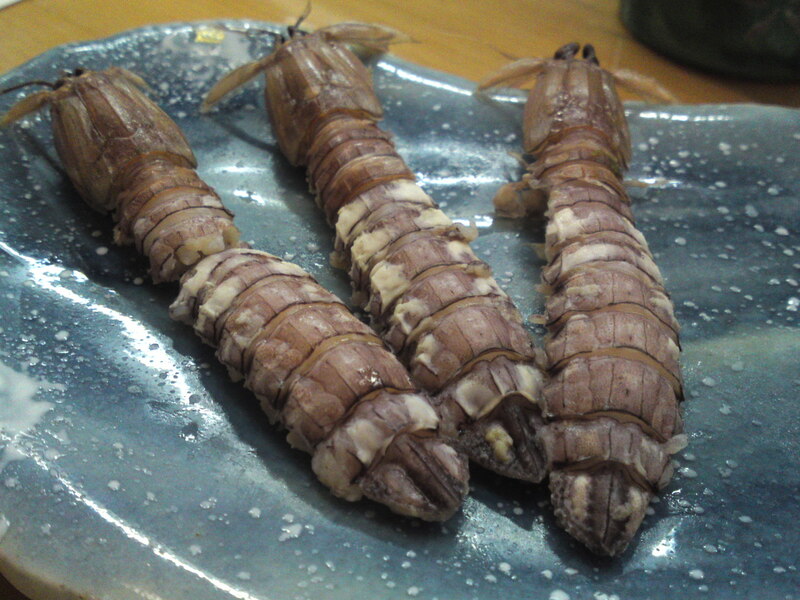 Shako/蝦蛄/Mantis Shrimp! Served as they are! 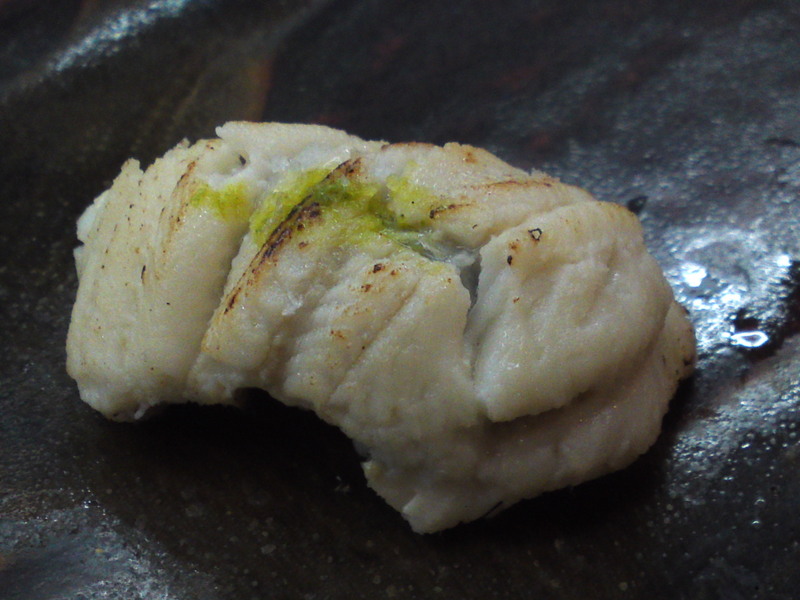 A rarity, Kawamatsu Karei/川松鰈/a variety of righteye flounder/turbot! 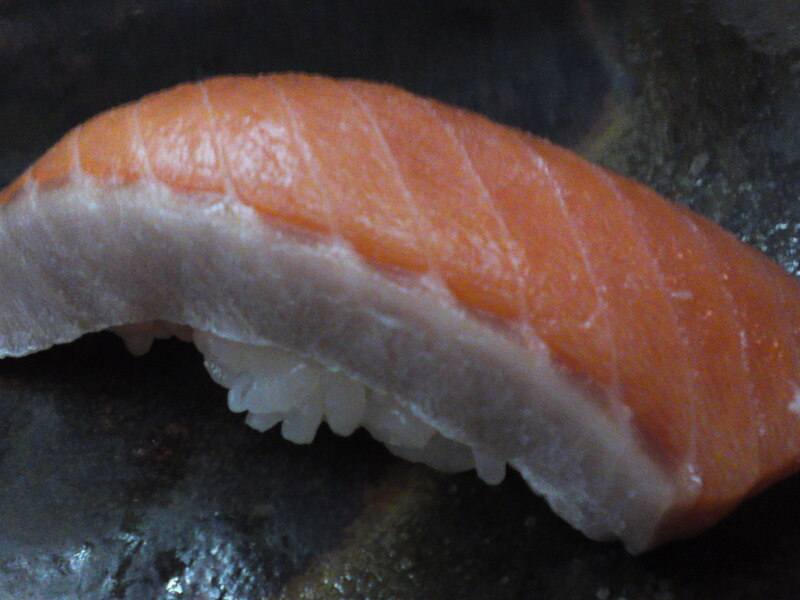 Another rarity: Keiji/鮭児/A rare variety of small salmon! The bones and meat of the dame grilled! 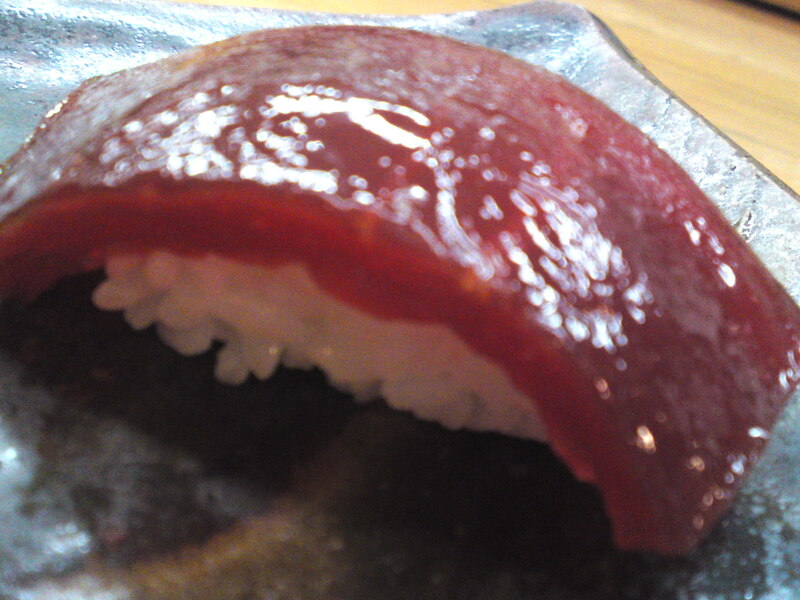 Maguro Zuke/鮪漬/Marinated lean part of Tuna! 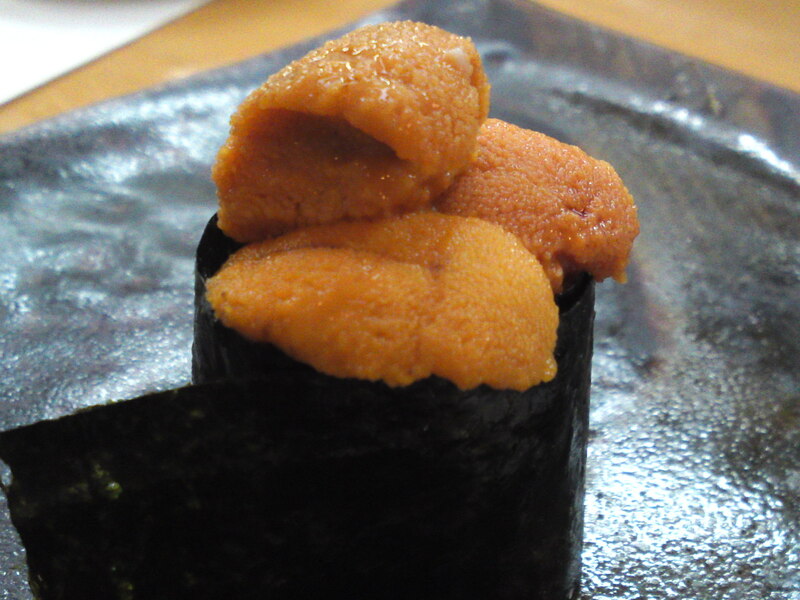 Uni Gunkan/海栗軍艦/Sea urchin mounted on a rice ball wrapped in dry seaweed! 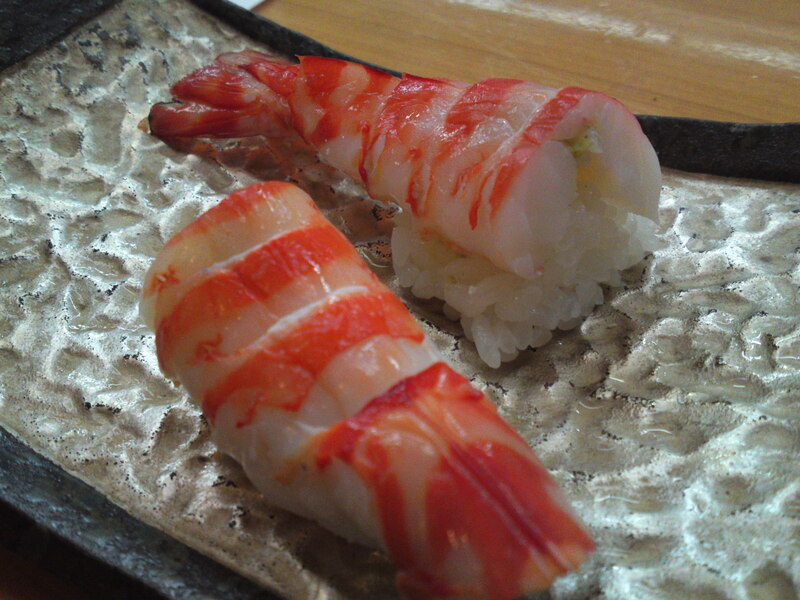 And for the finale, kuruma Ebi/車海老/Large boiled prawn! 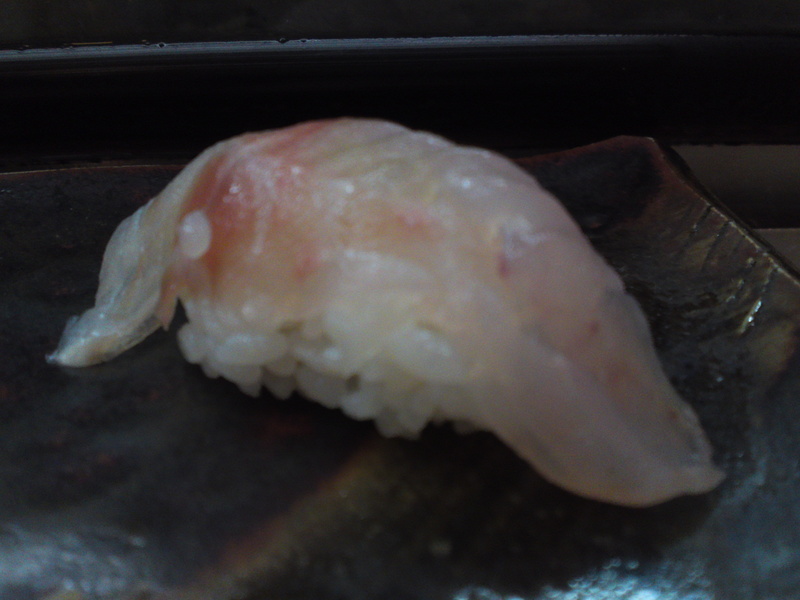 Previous PostShizuoka Fish & Seafood at Shizuoka JR Station Parche Supermarket! 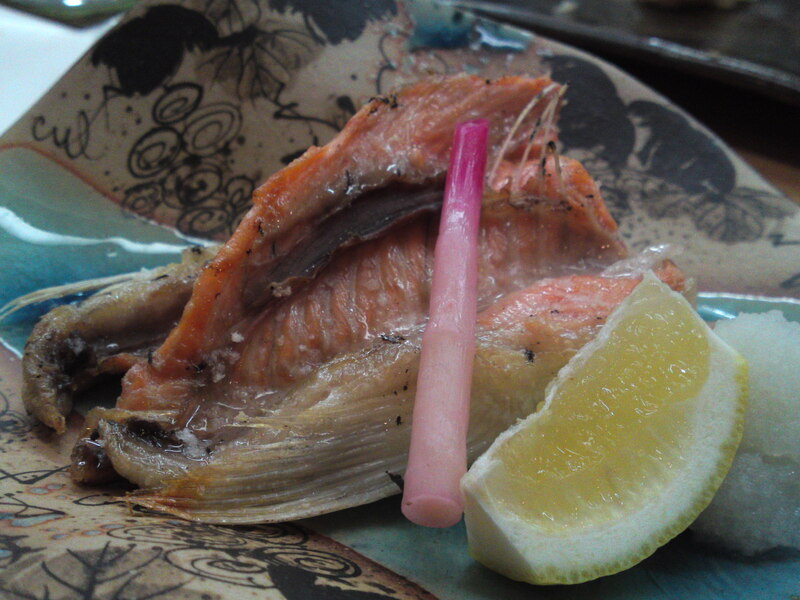 (October 2011)Next PostShizuoka Seafood: Heda Fishmarket in Izu Peninsula!